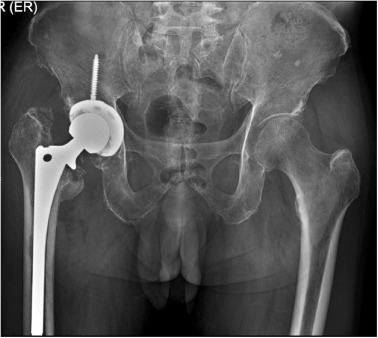 Femoral neck fracture is common in the elderly, especially in the era of aging populations. 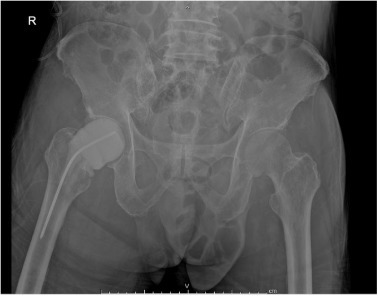 Septic arthritis of the hip after femoral neck fracture is a rare complication. There are limited reports on this complication especially in patients without a severe medical condition and there is no consensus on the method of treatment of this complication. 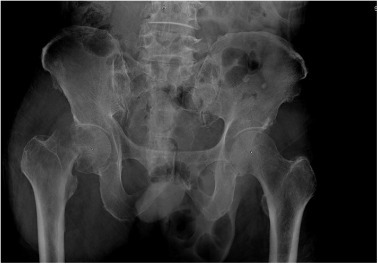 A 75-year-old male had right hip pain for two weeks after falling on his right hip. The patient was diagnosed as pathological fracture with hematologic malignancy. He was scheduled for bipolar hemiarthroplasty. However, an intraoperative finding found that the hip joint was filled with pus. The treatment was successful with a two-stage procedure. 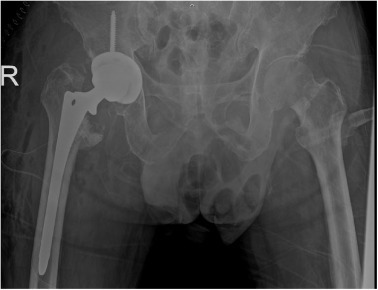 The first stage was implantation of an antibiotic cement spacer and the second stage was total hip replacement.